Being a team of girls, we all know the difficulties of never having anything to wear and always wanting to buy new things . 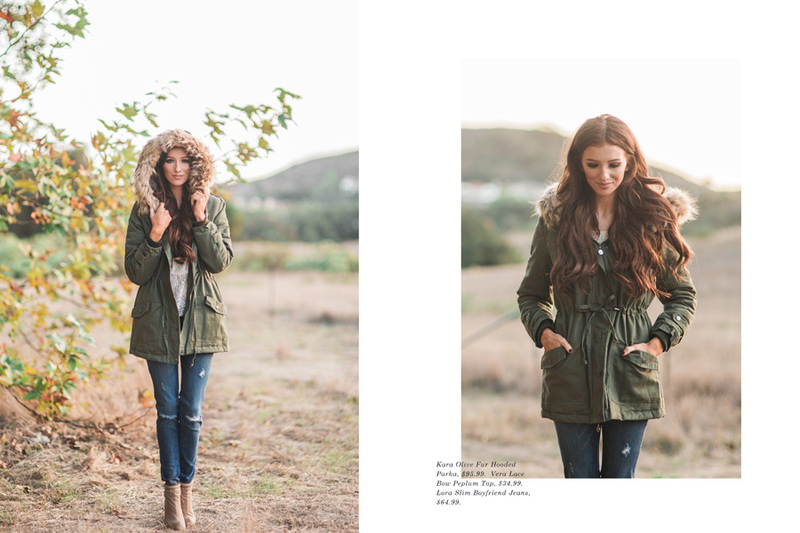 This gave us the idea to choose a few staple fall pieces from our new collections that we simply can’t live without. One of the biggest questions we face when shopping is, “Do I really need this?” or “Will I wear this often?”, and we’re probably not the only ones that feel this way. We know how difficult it is to shop for ourselves especially when the holidays are approaching and gifting season is starting soon. With these few pieces that we’ve picked out, you won’t feel guilty purchasing them because of how versatile and timeless they are! 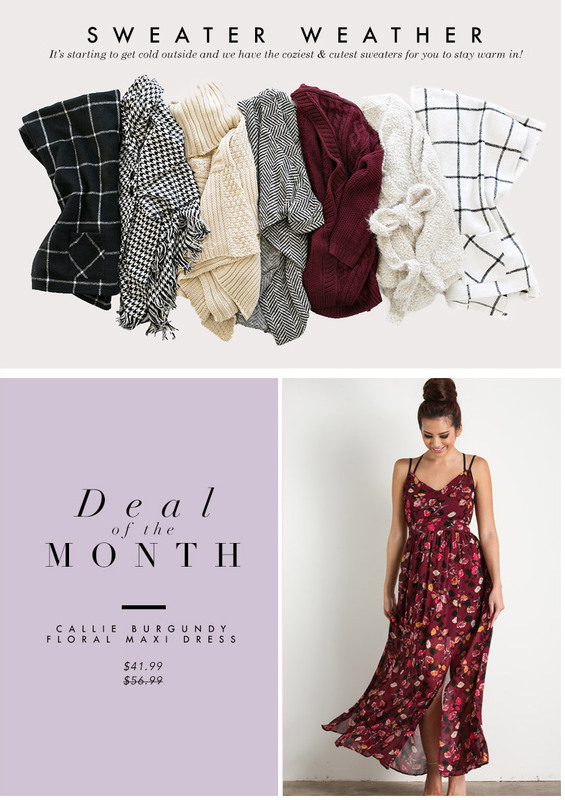 For those of you who are signed up for our newsletter, you had the perfect opportunity to purchase these Fall staple pieces as part of our secret sale. And if you still haven’t signed up for our newsletter yet, sign up here for special sales and announcements and a heads up on what we have in store! We’re welcoming Fall with open arms! 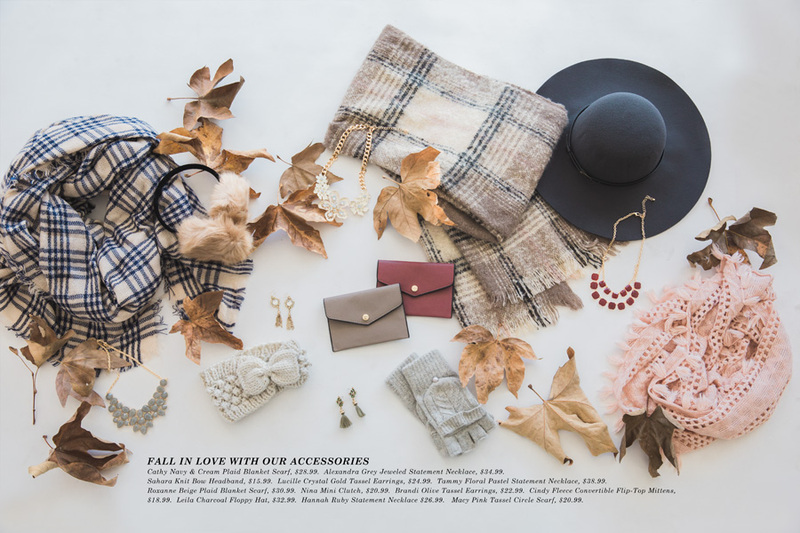 The girls here at Morning Lavender came up with a 14 PIECE FALL CAPSULE COLLECTION that makes dressing for Fall effortless and fun. Whether it’s chilly out or still warm and sunny, we’re preparing for it all. We were able to style these 14 staple pieces 30 different ways, but there’s no limit to what you can do with this collection and the contents of your closet. We are excited for so many things that Fall offers: coffee shop dates for your favorite seasonal lattes, trips to the pumpkin patch with little ones, and let’s not forget Thanksgiving dinners with friends and family! With so many upcoming events, you’ll need both dressy and casual outfits ready so you don’t have to stress out when any event comes. You’ll be surprised at just how versatile our collection pieces are. Pair our Amelia Full Pink Maxi Skirt with our cozy Adalyn Beige Knit Open Front Cardigan or our Nita Ivory Camisole and a scarf for two completely different looks! Our Lacey Taupe Scallop Mini Skirt can be dressed up with our Anastasia Ivory Faux Fur Vest for a night out on the town, or if you want a cozy and casual look pair it with our Brynn Navy Polka Dot Sweater. Capsule collections aren’t just about versatility, but they’re also about creativity and individual style. We came up with just a few ideas to help style your wardrobe, but we love seeing what new and fun twist you can come up with! Share your Fall Capsule Collection outfits with us on our Instagram page and tag us at #shopmorninglavender for a chance to be featured on our page! 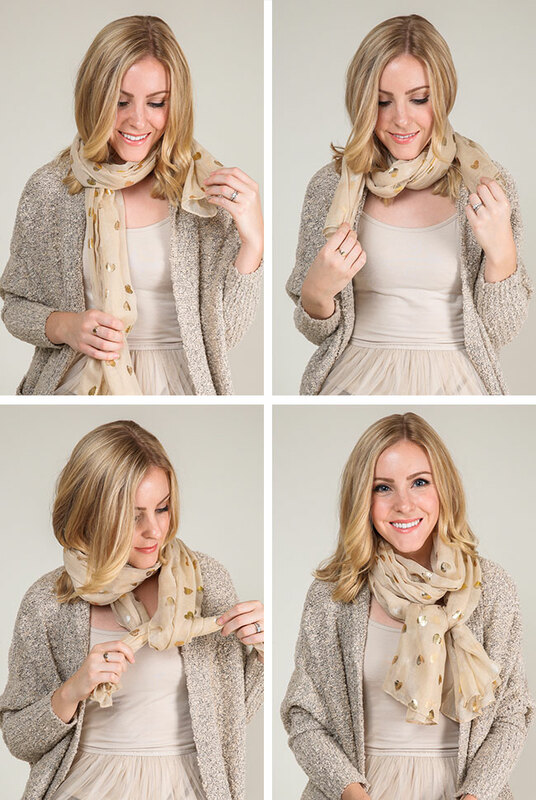 Adjust the scarf so that it looks nice and pretty! Pull knot snugly toward your neck and adjust to make the knot appear larger – and you’re finished! 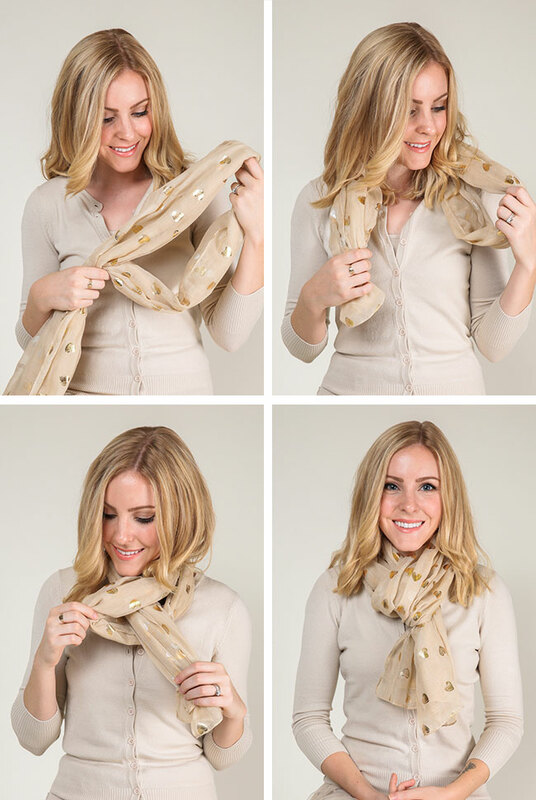 Adjust scarf and pull apart for a finished look! The finished look should look knotted, asymmetrical and gorgeous! You now have a more timeless scarf look! Adjust and you’ve got a flawless look! Adjust the knot and you’re all done! 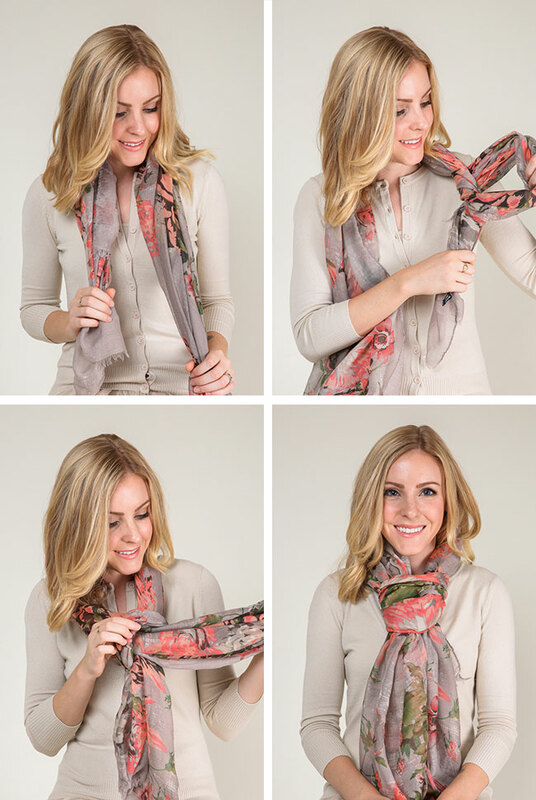 We hope that our nine stylish scarf looks have inspired you to spice up your look this autumn! 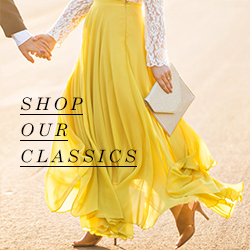 Be sure to leave us a comment letting us know which look is your favorite! See an item of clothing that you like in this post? 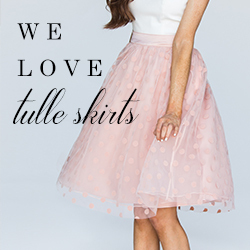 Be sure to check out our new arrivals every Wednesday!